Astral Health & Beauty has announced that Jennifer Thompson will be joining the executive team as Vice President and General Manager of the professional skincare brand COSMEDIX. Thompson brings to the company more than 25 years of industry experience in the areas of leadership, client relations, marketing analysis and revenue generation. Robert Cohen, Chairman and CEO at Astral Brands, commented: "We are delighted to welcome Jennifer as a leader of the COSMEDIX brand. Jennifer will bring valuable skill sets that will further enable our organization to grow its long-standing investment in the professional skincare sector." Astral Health & Beauty, a global leader and innovator in the creation and management of prestige beauty brands including Aloette, PÜR and COSMEDIX, has announced that Jennifer Thompson will be joining the executive team as Vice President and General Manager of the professional skincare brand COSMEDIX. Thompson brings to the company more than 25 years of industry experience in the areas of leadership, client relations, marketing analysis and revenue generation. 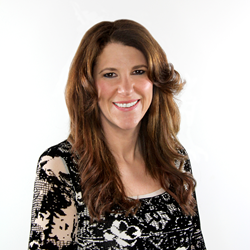 As an industry veteran, Jennifer is a proven sales leader and brand equity builder. Prior to joining the Astral family, Thompson served as the Director of Business Development at Iredale Mineral Cosmetics where she developed strategic relationships and customized business solutions for the spa and professional sector of the business. Her innate ability to drive market share growth has been demonstrated through her previous leadership roles at top brands such as- jane iredale and Dermalogica, and will be an instrumental asset to the fast-growing global skincare brand.